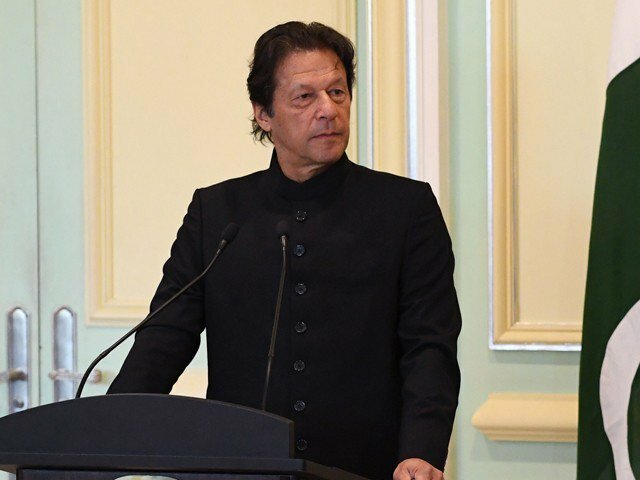 Prime Minister Imran Khan on Sunday announced launching a new economic roadmap envisaging a strategy to overcome challenges and reset the country on the path to progress in the next six to nine months. The prime minister was on a day-long visit to the provincial metropolis during which he met representatives of the business community, Sindh Governor Imran Ismail, Chief Minister Murad Ali Shah and provincial party leadership. He reiterated his resolve to steer the country clear of difficult times and maintained that the country was not deficient in anything, the only thing; it needed was an investors-friendly environment. He said the government had fully focused on bridging the gap between imports and exports and assured that there would be no difficulty in running a business. “PM Imran shared salient points of the government’s economic recovery strategy and promised to unveil in the coming weeks a proper economic reform agenda, showing a clear roadmap for taking the country out of the current economic crisis,” Overseas Investors Chamber of Commerce and Industry (OICCI) said in a statement after its managing committee members held a meeting with the prime minister at Governor House. “Imran Khan also shared that the government is working on a clear path for the recovery and that the benefit of the revised economic strategy will be visible during the next six to nine months,” it added. OICCI – the foreign investors’ representative body in Pakistan –however emphasised upon the government to bring consistency on economic policies to attract foreign investment in the domestic economy. There is a great need for “predictability and consistency of policy and its implementation, as the (foreign) investors can take market risk but have difficulty in managing systematic risk,” OICCI President Irfan Wahab emphasized at the meet. OICCI members presented to the prime minister key challenges in attracting sizeable foreign direct investment (FDI) in the country and also offered recommendations towards creating a conducive and enabling environment for FDI. “Wahab offered OICCI expertise in boosting FDI and on improving Ease of Doing Business and building up a positive image of the country overseas by sharing successful strategies which has worked internationally in boosting investment and exports,” the statement said. OICCI expects that a new industrial policy in the making will be developed during 2019 to give direction to new investment in the country. Its members raised their concern to the prime minister on the long pending tax refunds, growing number of interprovincial coordination issues, lack of harmonisation of food standards among the provinces, and delays in the settlement of issues like pharma pricing issues post currency devaluation. The OICCI president also presented to the prime minister a comprehensive OICCI booklet titled ‘Recommendations on National Programme for Digital Transformation’, and stated that ‘if the recommendations are acted upon it would lead the country into an era of digital and financial inclusion and good governance and help in the positive branding of Pakistan’. The prime minister promised full support to foreign investors in addressing their issues. The government is all set to undo the regulations shot down the high-flying Pakistan Stock Exchange (PSX) by the previous PML-N government. The initiative is aimed at refilling a new life into the crippling bourse since long.